Review: Tekken 7 is a fighting game developed by Bandai Namco Entertainment. This is the ninth game in the Tekken series and the first game that runs on the Unreal Engine 4. Initially Tekken 7 was released on arcade machines in March 2015 in Japan. 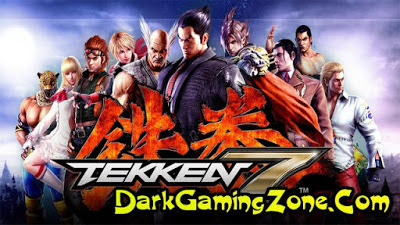 And in the summer of 2016 an updated version of the game called Tekken 7 Fated Retribution was released and included new arenas suits and characters. The version for PlayStation 4 Xbox One and PC came out June 2 2017 under the name Tekken 7 and included all the content of previous versions. Gameplay Tekken 7 focuses on one-on-one battles as in the previous games of the series not counting the Tekken Tag Tournament and the Tekken Tag Tournament 2 where the characters could pair up 3. The game has a number of innovations. The first of these is Rage Art - the ability to use special strikes removing from 40-80% of health (depending on the character) that the character can use at a critical level of health. Starting with the arcade version of Tekken 7 Fated Retribution the health of the opponent is removed depending on how much health the character for whom the player is playing the less health the player has the more it is removed from the opponent. The second - Rage Drive - the ability to apply a special super-attack at high speed with a large amount of enemy health during its execution the character is painted in white tones while the enemy can be protected from the impact as well as from the usual. Third - Power Crush - the player can strike even if the opponent attacks him. In this case the character of the player will ignore only the high and medium attacks of the opponent.